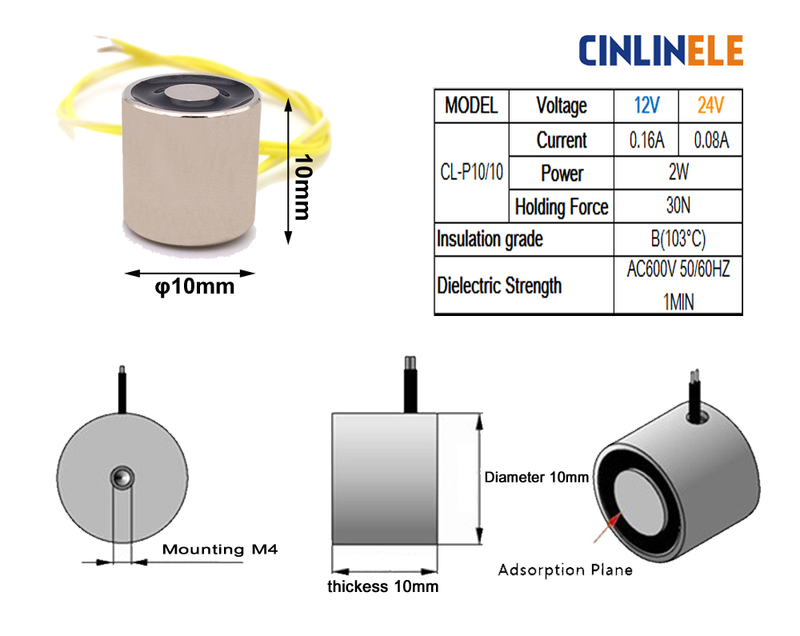 This miniature 10mm diameter, 10mm high cylindrical electric lifting magnet is powerful, compact and provides a smooth, flat lifting surface. The magnetic field is activated by an electrical current, and disappears when switched off. This reliable magnet requires low levels of power and comes supplied with wiring for instantly attaching to an electrical source. These P10/10 magnets are often used in door controls, alarms, machine guards and robotics.